If you are traveling out of town, you may think that renting a car can save you a bundle instead of taking your own vehicle. And you may be right, but only in certain conditions. The only way to know for sure is to run all the math–and consider all the possible different scenarios–to determine what the best option really is for your trip. I’ll give you some hypotheticals to get you started. Let’s say you and your family (spouse, two children, plus luggage) are going to take a weekend trip to west Texas. Suppose you’re heading out to El Paso from your home in the Dallas and Fort Worth metroplex. You will leave Friday afternoon, and return by Sunday evening. The price of gas per mile. Let’s assume your family vehicle is an old-ish model mid-sized sedan, like a 2006 Nissan Altima. Readily available information states that this vehicle should get about 31 highway miles, or 24 city miles, per gallon. The average price per gallon for unleaded in Dallas right now is around $2.70. If you fill up before you leave, you would need to refill your car’s tank around Midland, Texas. The average price per gallon for unleaded in Midland is currently $2.45. Let’s assume you did the same stop in Midland on your return trip; your only other gas stop would be before leaving El Paso. The unleaded average in El Paso is $2.35. We know that the distance between DFW and Midland is around 350 miles, if we overestimate for a buffer in case of emergency. From Midland to El Paso is somewhere around 325 miles. This means that your total trip is going to total 1,350 miles. Your total gas price will include your stops in Midland and your fill-up in El Paso, and your fill-up in Dallas upon your return. I won’t bore you with the math, but assuming an average MPG of 30, your total gas price for the trip would come to around $112. We get price per mile by dividing the total gas price by the total trip miles. This brings your price per mile on gas to $0.08. You would have to perform the same calculations on any car you intended to rent for the trip, as well as factor into your “total gas price” any charge for mileage the rental company charges, not to mention the cost of the rental transaction itself. You can see how rapidly this could increase your price per mile when renting a car. 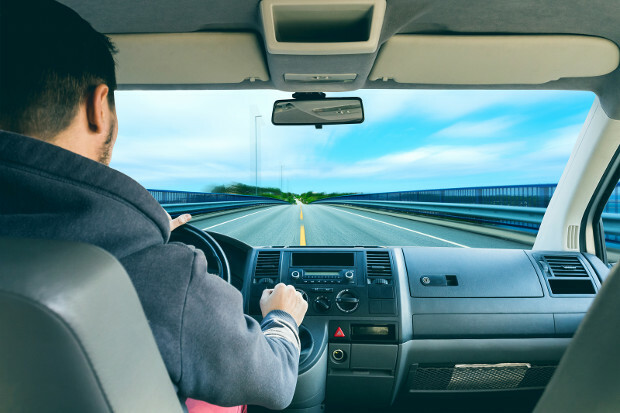 Now, if you take an extra, extended trip in your own personal vehicle, you need to remember that this will decrease the time spent between your oil changes and other maintenance tasks. A small trip to El Paso, if you are on a 3,000-mile cycle on your oil changes, will cut the time between your previous change and the next in nearly half. That trip also rolls another 1,350 miles onto your tires that you would not have otherwise seen for days or months. Every car has different inherent maintenance costs, and without knowing exactly how much tires (or an oil change) costs for your particular vehicle, I can’t really run the math for you. But crunch those numbers on your end, and factor those adjustments into your vehicle maintenance budget to see the difference. Consider Comfort Before Renting A Car. Now, time-wise, this trip to El Paso puts you and your family in your little ole’ Nissan for over 9 hours. Let’s say 5 hours Friday evening, and then another 4 Saturday morning. You’ll have Saturday afternoon to enjoy that historic town, and one night; but if you are going to get back Sunday evening for a good night’s sleep before work and school on Monday, you will have to leave right after breakfast Sunday morning. That’s a lot of time crammed in a car for a few hours of fun. So if your family is tired of the same ole’ car, a rental SUV or other larger vehicle might be worth the increased costs. The value gained from the extra space and comfort could more than offset the inconvenience to your wallet. Only you and your family can determine that. But in either case, you’re spending money. If the least money spent is your biggest concern, break out the calculator and scratch pad, and get to pushing buttons. You’ll want to make sure you are confident in your decision long before you lay rubber on the asphalt to head off into the great unknown.